Welcome back to my three-part series on how to implement Big Data to find the unique data hook that can separate your business from the competition. These articles are based on “Truths, Myths and Everything In-Between,” a presentation I gave at Digital Dealer 23. In the show, I discussed the big picture of Big Data and its impact on automotive retailing, as well as recommended tactics for deriving the most value out of your data. Believe me when I say this, core to any business is its ability to quickly and cleanly surface data to help them solve real and pressing business problems. We don’t leverage Big Data for Big Data sake or because it’s an industry buzzword we do it to drive value, make critical business decisions and crush our competition. That’s right, why else would we use Big Data? The first article addressed single-point dealers (five or fewer rooftops). In case you didn’t get a chance to read the article, the key for single-points is to leverage their data vendor relationships. I followed that article with one about Big Data and mid-size groups, dealerships with anywhere between 11 and 25 dealerships. At this size, your greatest resource is the creation of a data team, a mix of in-house staff and part-time contractors. For my final article in the series, I’d like to discuss how large dealer groups can tap into the goldmine of Big Data through their advantage of being a large dealer group. For my purposes, I’ve defined a large group as having more than 25 rooftops. One of the advantages of having more than 25 rooftops is your access to bigger budgets and more resources, including in-house staff. Unlike smaller organizations, large dealer groups can afford to have their own data team in place—analysts, engineers, data scientists, architects—instead of relying on contractors or third-party data vendors. As a large auto group, your goal should be to bring all core data design and analysis in-house while bolstering it, as needed, with outside services or vendors. This first-party data will provide you the greatest insight into your customers, and give you the most relevant and accurate data of your target audience. Large auto groups, by bringing Big Data in-house, control their own destiny and use their data to guide large and important business decisions. For large auto groups, a data lake can be somewhat intimidating, with its vast reservoir of unstructured and structured data. That’s where your data team steps in and takes over. Once your team defines your company’s key performance indicators (KPIs), you can identify trends, as well as gaps and anomalies, in performance. Simply put, a full data lake gives you insights into real-time data. Who is the core customer that comes to my store? What do they care about? How effective are my marketing efforts? Which marketing efforts should I stop, start or continue? Can I anticipate who will buy and when? Can I anticipate what will vehicles will be in demand based on my dealership demographic? What leading indicators will show that my current customer will buy from my competitor? It’s all there in the data you accumulate, if you know how to leverage it. By bringing their data needs in-house, large auto groups may choose to skip middlemen and work directly with other key data service partners, including Amazon Web Services for cloud database storage and content delivery; Apache Hadoop for distributed processing of large data sets; Tableau for data visualization, and Databricks for cloud-based Big Data processing. I mention these four services but there are other many other options to pursue, as well. Through their combined efforts, your in-house data team and outside services can collect, aggregate, define and refine key pieces from your enterprise data lake, pulling out timely data points relevant for each store. The result can be a dynamic view into what active shoppers are looking for at any point in time in your respective markets, enabling you to create a rooftop-based and customer-centric plan that’s flexible enough to hit a moving target. A word of caution: you might encounter challenges when different stores in your group hesitate to share consumer data for competitive reasons. I’ve said it twice before in this series and cannot emphasize it enough: find your data hook. It’s somewhere in your data and it will separate you from the pack. 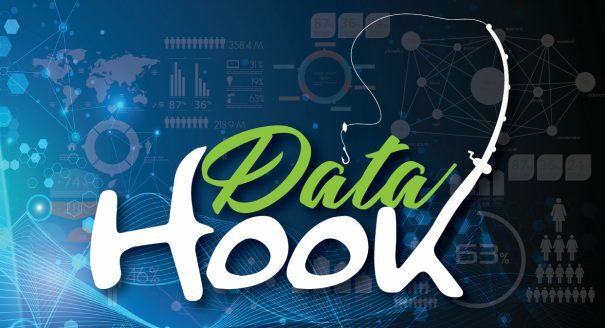 So, what is your data hook? By now, I hope you know where to find the answer to that question. A data hook is that special piece of data that when converted to actionable information gives you a ten-times advantage over the competition. Put another way, this is what savvy people in your dealership know from experience. Thanks to Big Data, you no longer have to guess or rely on one person’s instincts to engage in customer-centric marketing. Big Data can tell you where and how to hook more customers.